Learn how to drive a forklift today! CertifyMe is the #1 online forklift school. Our flexible and affordable forklift driving school offers a great way for everyone from novice forklift operators to experienced veterans to learn how to drive a forklift, obtain refresher training, update their forklift training credentials, and much more. Whatever your forklift training requirements are, CertifyMe has what you need! 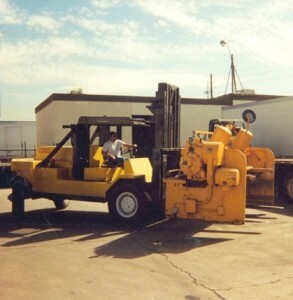 At CertifyMe.net, we consider our forklift school a lifetime learning aid. It doesn’t matter your particular skill level – if you want to learn how to drive a forklift or how to operate a forklift more efficiently, we have the OSHA complaint training you need to find success on the job – and also a more rewarding career as a forklift driver! Our forklift school offers affordable classes, exceptional student support, and the convenience that comes with a 24/7 online learning format. Many companies choose our forklift school as a value-added alternative to expensive OSHA training providers. Why is CertifyMe the preferred forklift school for companies all over the United States? OSHA compliant training. Our forklift training courses include everything you and your employees need to operate a lift safely. Flexible forklift driving school coursework. Our OSHA forklift school is ready to go whenever you are. With a convenient learn at your own pace format, we have a 100% pass rate. Learn how to operate a forklift from the OSHA experts. The CertifyMe staff includes OSHA experts and veteran forklift safety personnel. We stay up to date with OSHA legislation, so you don’t have to! Our forklift school training material automatically reflects any updates to safety standards! Accessible learning. Why do so many forklift drivers choose CertifyMe.net? We’re the answer to one of the most common questions: Where can I find a forklift training school near me? With our online-based OSHA training, forklift school is always just a click away. All of our training material is available on a 24/7 basis, and our helpful staff are here to help with any questions you may have about how to drive a forklift. After all, CertifyMe.net was created by in-house OSHA experts! Practical, on-point training. If you want to know how to operate a forklift, nobody comes close to CertifyMe.net. We’re the #1 choice for employers and employees. With no-nonsense training content and real-world applications to help illustrate essential safety concepts, CertifyMe.net has everything you need for extensive – but not expensive – training on how to drive a forklift, OSHA safety standards, and much more. Your employees need to learn how to drive a forklift. But finding a reliable training session or forklift classes can be a daunting challenge. Where is the best forklift school? Hint: it’s not centrally located, and you won’t find it on a map. That’s why many students who ask, “How can I find a forklift training school near me?” use CertifyMe.net for the entire OSHA training requirements. If you and your workers want to learn how to drive a forklift the right way – the OSHA-compliant way – look no further the online classes available at CertifyMe.net! Our forklift classes feature unbeatable convenience – your employees can learn how to drive a forklift at their own pace – along with budget-friendly prices. Forget about sending your workers off to forklift school. The best place for comprehensive OSHA forklift classes is wherever you have an internet connection – right here at CertifyMe.net. CertifyMe.net is an online forklift training school that will teach you how to drive a forklift in a safe manner, and that enables employers to train and certify their powered industrial truck operators to meet OSHA standards and avoid having to pay hefty fines. Whether you are an employer looking for a forklift certification school and wish to enroll your forklift operators or you are an operator looking for a forklift school, CertifyMe.net can deliver the training you need in less than two hours for only $59.95 per operator. Compare that price against other external training providers, and it’s easy to see why so many companies prefer CertifyMe.net as their virtual forklift school. From how to drive a forklift to understanding ever-changing OSHA regulations, no other training source prepares you as well as CertifyMe.net. We’re already the preferred forklift school and training provider for companies all across the United States – and we’re here to help you as well. From firms to individual forklift operators, no other forklift school offers the value, selection, and service of CertifyMe.net! How Does the Forklift School Work? To begin the online forklift training school, all you need is a willingness to learn how to operate a forklift and a dedication to safety. Before you know it, you’ll be driving a forklift and enjoying your new career. First, you sign up and complete your forklift driving course. Then you work through the trainings and learn everything you need to operate forklifts properly, assess the environment, inspect the equipment, recognize and avoid hazards, and protect everyone’s safety. Operator error is the primary cause of all forklift related accidents, and ensuring operators are properly trained on how to operate a forklift is the best way to prevent injuries and fatalities. Forklift training school isn’t as hard or as inconvenient as it may sound. In fact, when you choose CertifyMe.net to learn how to properly operate a forklift, you are registering with the most affordable and convenient online forklift school there is. Before you register your company, you will choose which forklift training module is right for you. One of the greatest benefits of our training is that you don’t have to pay for any training for a type of forklift that your business doesn’t use. Pay only for what your employees need for driving a forklift in your workplace. It’s Never Been Easier to Learn How to Drive a Forklift! The first step is to register yourself or your company for online forklift training school with CertifyMe.net. This process is a breeze and it is easy to complete. What’s more, registration for forklift classes is free of charge. Registration to learn how to drive a forklift takes only a minute – but our support and other training aids will last a lifetime! CertifyMe.net will help your entire company become OSHA compliant – and it all starts with online registration at our forklift school. The next step is to register each operator for forklift school at a cost of $59.95 each. This is a one-time charge and includes recertification when renewal time comes around in three years. Payment is made online through our secure checkout. Set up a forklift school student log-in and password. Once the account is set up, it is live 24/7, 365 days a year. Students may log into the CertifyMe.net forklift training school from any broadband computer at any hour of the day. Lunchtime, after work, before an afternoon shift – whatever is convenient for you. Don’t you with other forklift schools were as flexible as CertifyMe.net? There are no expensive training centers to rent, no costly forklift driving school materials to go out of date as soon as you purchase them and no time slots to book. The system will not time out; the trainee may spend as much time as he or she likes to complete the forklift operator school training and online test. They may even review the material and correct any answers. CertifyMe.net has a 100% pass rate! Our forklift school is designed to promote superior knowledge retention – once you’ve reviewed our training materials, your skills are immediately tested. And even if you fail, you can try again until you get it right. Wow – a forklift school that puts the student first… what a great idea! Step Five – Automatically print forklift training school certificate and operator card and checklist for on-site evaluation. The printed original certificate of completion of forklift school and operator card will arrive in the mail within 7 to 10 days. Why leave yourself open to fines from OSHA of up to $30,000 for every non-certified operator on your premises when you can have them all trained in a single morning or afternoon of forklift certification school for only $59.95 per operator? Plus, our Train the Trainer program means that forklift school is always in session at your workplace! This value-added course gives full OSHA-compliant trainer permissions to one of your employees. In no time at all, they’ll know how to operate a forklift! Learn more about the 5 steps to forklift certification here. The forklift training school with CertifyMe.net provides the comprehensive, OSHA-compliant education you need to ensure your workplace is safe and legal, with the convenience of being completely online. Our program can be accessed 24/7 on any device with the internet. All year round, at any time, you will always be able to log into your account because your username and password are always active. The program is also untimed so you can spend as much time as you need completing the course and getting the most out of it. Although, we’ve found that it typically only takes about one hour for students to finish the program and learn the essential forklift driving skills! Enjoy lifetime support for any worker that needs to learn how to drive a forklift – and also receive renewal training! You pay only for the forklift driving school classes you need, when you need them. The online forklift operator school materials never go out of date because we take pride in constantly updating them so students have the latest materials about learning how to operate a forklift. To find out how CertifyMe.net can help your company promote safety and remain compliant with OSHA regulations, phone us at 1-888-699-4800. Learn more about where and how to sign up for forklift school. Our forklift training program at CertifyMe.net covers exactly how to drive a forklift and all of the safety components and potential hazards to look out for. Once you’ve completed the online section, you will practice and learn how to drive a forklift with a trained mentor at your job. Workers must wear appropriate work clothing when learning how to operate a forklift, which includes visibility jackets, hard hats, hard soled shoes, and avoid loose clothing. Workers need to perform a pre-start inspection and checklist prior to driving the forklift. This inspection includes checking the brakes, steering, tires, controls, warning signals, mast, fluids, and the meter readings. Learning how to operate a forklift is all about starting off on the right foot. Before starting up the forklift, workers should note the size and shape of the load and the size of the forks. Workers should lift the load only to the appropriate height needed to balance the weight and assess the environment for obstacles, while wearing a seat belt. A load should be evenly distributed to avoid over-loading the forklift. Know the capacity of the lift and use the body of the forks to raise and lift a load with both forks fully underneath the load. Use warning lights and alarms to warn pedestrians of your work zone and ensure your view is always clear to see where workers are stationed. This is one of the most important safety measures to keep in mind when learning how to drive a forklift. Forklifts should be fueled up at designated locations once the lift has been turned off and there are no open flames or sparks near the fueling area. Learn how to drive a forklift with us and receive your forklift certification in only about one hour! How Often Should You Renew Your Certification? Forklift school for your certification is just the first step. To stay up to date with OSHA regulations, you need to get forklift recertification. 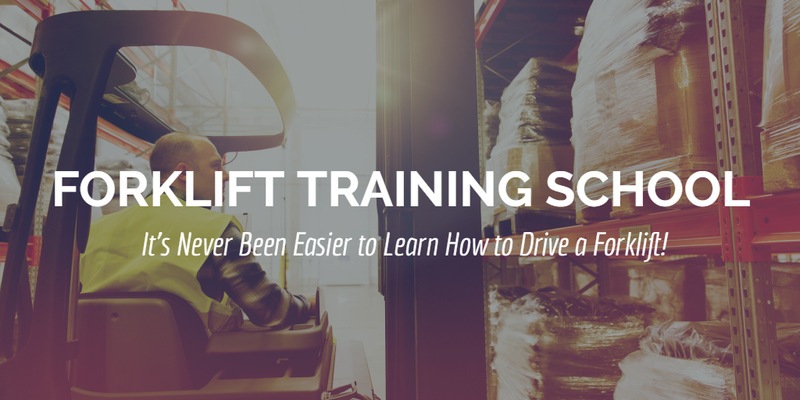 Learn more about how often you need to get forklift operator training. Attending forklift school can help prevent accidents and injuries due to lack of training, but sometimes accidents happen because of faulty equipment. Learn how you can avoid forklift injuries by doing regular forklift maintenance checks. Thinking about going to forklift school to get OSHA forklift training? Read to find out why becoming a forklift operator is a great career move! Thanks for visiting the CertifyMe.net forklift school. We’ll teach you how to drive a forklift, a pallet jack, man lift and much more! For prices on our forklift classes, click here. If you’d like to speak with our OSHA experts about forklift classes, visit our contact page. We look forward to hearing from you! Contact CertifyMe Today – The #1 Forklift School! It’s easy to get started today with your forklift school training. If you need to learn how to drive a forklift today, or your co-workers and employees need the best training possible, CertifyMe is ready to help today. Click here to create an account and get started. We have a great selection of training courses at our forklift school. We’re here to help in any way possible. You can also call our OSHA forklift school at (888) 699-4800. Thanks for visiting CertifyMe – here, forklift school is always in session!